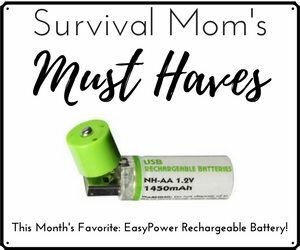 I know you’ve heard more than enough about packing emergency kits, Bug Out Bags, Go Bags, or whatever else they may be called. I even have a list here on my site for what should be included. However, in a scenario in which you’re running out the door, that pre-packed kit is going to be missing something. A lot of important somethings, actually, because many items can, and should, only be packed at the last minute. Another consideration is that whatever you leave behind might end up in the hands of criminals. Homes left vacant after evacuations are targets for thieving low-lifes. Just know that whatever you leave behind may not be there when you get back, so plan ahead as to what you must take with you. Click HERE for a downloadable checklist you can print out. * Cash. You may already have packed a few dollars in your emergency kit, but if you have cash stashed around the house, be sure to take it with you! A vacant home is more likely to be burglarized, plus that extra money will come in handy for travel expenses and food. * Medications. Any prescription or over-the-counter medications that you regularly take should be packed at the last minute. If it needs to be kept refrigerated, have a small ice chest and several cold packs in the freezer. * Medical equipment, such as a wheelchair, walking aids, diabetic meters, or nebulizer. 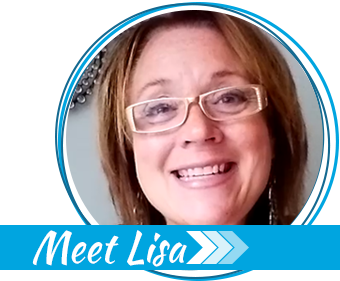 * Special equipment or supplies for a special needs family member. * Firearms and extra magazines/ammo. If you have a collection of guns, decide now which you will grab at the last minute. No one likes to leave these behind, but in the case of a house fire or oncoming tornado, you’ll waste precious minutes lugging them to your vehicle. 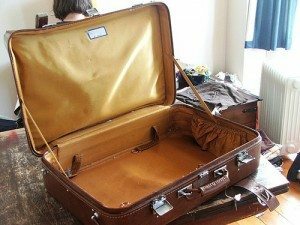 If your gun safe is portable, then be sure you can transport it out of the house. A furniture dolly would come in handy for this task. * The right clothing for current weather conditions. Your emergency kit probably doesn’t contain heavy duty winter clothing or rain boots. In order to stay warm and dry, know ahead of time where these items are located. * Heirlooms, valuables. If the house is on fire, you’ll have to leave these behind, but other than the direst emergency, you’ll be glad you packed these along. Packed in a fireproof and waterproof safe, they’ll be safe from flood, fire, and smoke damage, if the safe is left behind. * Photo albums. Over and over people say how glad they were that their photos survived a calamity. Place your most valued photographic treasures in a fire-proof safe. * Small safes and/or strong-boxes. If something is valuable enough to be kept in one of these, remember to take these with you. I like having a safe that is small and lightweight enough to carry, along with one or two that are much heavier that I plan on leaving behind in case of a fire, flood, earthquake, or similar disaster. Unless stolen, it will be there when we return. * Precious metals. If you have been buying gold and silver coins, please don’t leave them for burglars or for Mother Nature to wash away with flood waters! They can be heavy, so you may want to store them in smaller containers to make transporting easier. * Vital electronics. If you keep personal and financial records on a computer, and most of us do, you’ll want to have a plan for securing that information and, if possible, taking it with you. At the very least, someone should be trained to download information to a thumb drive. It might be easier to just grab the laptop or unplug the desktop computer and make a run for it. * Perishable foods. If you expect to be on the road a while and you have the time to pack it, a cooler filled with food will eliminate the need to stop at fast food joints or restaurants. This will help you get to a safer location more quickly. * Comfort items for family members. These could be stuffed animals, favorite pillows or blankets. * Family pets and their supplies. Read this Pet Emergency Checklist to help you prepare for your animals’ needs. * Camping supplies. If there’s a chance that you may not reach a hotel or other lodging, a tent, sleeping bags, and a few other supplies will provide shelter and rudimentary living quarters, temporarily. 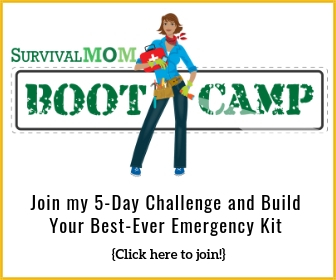 Click HERE for a complete list of FREE downloads that will help you be better prepared for any emergency. 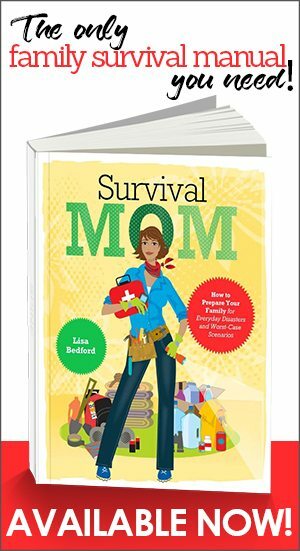 And, my book, Survival Mom: How to prepare your family for everyday disasters and worst case scenarios is available on Amazon, Barnes & Noble.com, and in local bookstores. It contains a multitude of checklists and planning helps. I was just saying to the hubby last night I wish I had a last minute packing list. We were doing our weekly prepping meeting and I mentioned both things you talked about here… The everyday emergency kit and last minute packing..
A better thing to do with family photos is to get them transferred onto CDs and/or flash drives (both preferably, one can serve as a backup to the other). They are more portable and take up way less space than albums. And unless it is truly the end of the world as we know it, the photos can be reprinted at a later date if the albums at home are destroyed. I live in wildfire courty and was told once that Red Cross, shelters and I’m assuming most others, will not let your animals inside the sleeping areas with you (rightly so). Unles you want to sleep in your car, or have somewhere else to stay, I might suggest packing a large enough tent, and sleeping bags for your family and animals. You can keep a good eye on your vehicle, and know that everyone can stay together during a stressful time. Quite good list for a last minute pack, I didn`t tought untill now for a photos fire-proof safe. Also to all your readers: don`t forget your survival tools! I think you could put the in your “Camping supplies”. ed to add to my list. I built my husband & I a new pair of desktop computers, so we have our old ones and the new ones. All of them have 2 Kingwin ‘hot swap drawers’ one case with drawer is installed, the other case holds the second hard drive drawer safely on the shelf. This way one good desktop is both a Linux and Windows computer, depending on which drawer is inserted. The inserted drawer is always the C: drive. This also means we can grab the 2 drawers for each computer if we can’t spare time to grab the whole computer. So for about $20 per drawer, and one extra hard drive, we have both a fast, inexpensive way to get the hard drive to safety if we can’t drag 4 or even 2 large desktops out, and we also each have 2 nice desktops that are set up for either drive to be the C: drive, so effectively 2 separate computers in one, more if we get another drive and drawer. Hope this helps.